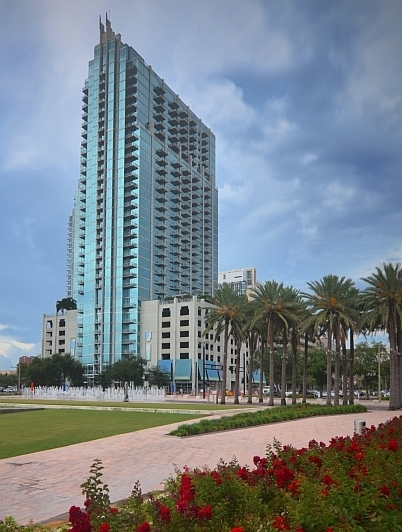 Skypoint is a high-rise condominium development in downtown Tampa. The Skypoint prominent profile is architecture as sculpture, cool, clean and contemporary with an elegant entry. As expected in a luxury urban residence, Skypoint offers full service 24/7 concierge. There is a virtual art gallery on large plasma screens right in the heart of the Tampa Arts District. Owner privileges include a palm fringed outdoor pool and sundeck with outside bar and grill, a large fitness center with state of the art weight, aerobic and cardio conditioning equipment.